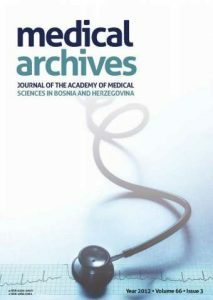 Since tens of my colleagues from the University of Prishtina were getting academic promotions based on publications in the three journals edited by Dr. Mašić, I decided to test the credibility of one on them (“Medical Archives”) by submitting a humble paper which was already published in Prishtina, Kosovo, and, in my opinion, would not qualify for publication in an international journal. I submitted the paper on 22 February 2014 and, on 14 April 2014 received a reminder to pay the publication fee of 250 EUR, which I never did. On 27 April I sent a message to a 3000 member Yahoo Group of professors and students of the Faculty of Medicine in my home university, explaining the whole situation and making clear that I renounce the paper and I am not going to use it for my academic promotion. But the story doesn’t end there. The journal soon caught on to the problems with the paper; though if they knew it was part of a hoax, they didn’t admit as much. First case of plagiarism this year was happed in February issue when author prof. Hatixhe Latifi-Popovci tried to publish her paper in our journal with title “Association Between Autoantibodies Against Thyroid Stimulating Hormone Receptor and Thyroid Diseases”. After several and anonymous suggestions from Prishtina that this article was already published in the journal “Praxis Medica” in Albanian language and identical in content we received, it was decided to retract paper from our side. Also, Dean of the Faculty of medicine in Prishtina and Rector of University of Prishtina were informed about author’s unethical behavior. 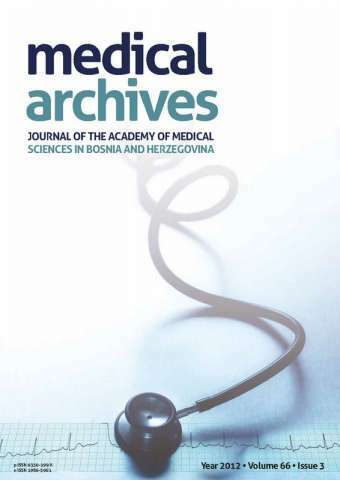 Concerning of un-ethical behaviors of some authors of the papers published in previous issues of the journal “Medical Archives” Editorial Board and me as Editor-in-Chief decided to retract several papers. We follow COPE Retraction Guidelines (http://publicationethics.org/files/retraction%20guidelines_0.pdf) and publish a separately citation for retracted article. “Urinary biomarkers of acute kidney injury in patients with liver cirrhosis,” was published in 2014 and has been cited once, according to Thomson Reuters Web of Science. Anass Ahmed Qasem is the first author and Heba Pasha is the last author; both are listed at Zagazig University in Egypt. “Association Between Autoantibodies Against Thyroid Stimulating Hormone Receptor and Thyroid Diseases,” for which we could not find a link and does not appear to be indexed in Web of Science. Latifi-Pupovci appears to be the paper’s sole author. Latifi’s paper wasn’t published, wasn’t converted to XML file and didn’t send to PMC, Pubmed, Scopus and other databases. It was only in category of “On-line First” on Scopemed, our official DBMS. However, the editorial uses the word “retract,” not “reject,” as does the retraction notice. It seems that the journal may have in fact done both. According to Beall, Masic sent Latifi-Pupovci a rejection letter in May 2014, just after the paper appeared online, and prior to the editorial. No need to be so critical in giving opinions about me and my academic work, especially maliciously without arguments. Acceptance rate of each journal, should be information that will stand in the first row of the description of the journal, because through it can be a lot to learn about the criteria and possibility of accepting the manuscript for review and publication in the journal. In the minds of the authors, acceptance rate, indicates the quality of the journal, to be all down the lower acceptance rate, the higher the impact factor, which is still in fact wrong. Sting operation is being replicated now a days! not sure whether this is a good trend though! Hatixhe Latifi-Pupovci deserves praise that she tackled this issue despite the fact that she is early in her career. The editor, Izet Masic, deserves further scrutiny. His cv states that he has 250 publication as (first?) author and 750 as “co-author”. Scopus reports 130+ and 120- publications to his name as respectively first author and co-author. Some 200 of these were from two journals, where he is editor-in-chief. Many of these were editorials. So his scientific record is much smaller than what he makes other to believe and there is the question of the mix-up between his editorship and his authorship. Al-Khatib, A., Teixeira da Silva, J.A. (2016) Stings, hoaxes and irony breach the trust inherent in scientific publishing. Publishing Research Quarterly 32(3): 208-219. It does make one wonder about the wisdom of publishing one’s own works (whether as author or co-author) in a journal for which one is also the editor-in-chief— I can see why such an editor-in-chief would do this (“this is my area of specialization, and I am so proficient at it that I am now editor-in-chief of a journal on it, to which I frequently submit my own work, because that is my area of specialization”) as well as how this could quickly become problematic (“I now have a million publications in the journal whose content I control, and I am certain that every one of them is absolutely perfect: I know this because I reviewed each of them as I wrote it so nobody knows better than I how worthy and accurate each of them is— can I have more money now?”). Do hoaxes undermine the credibility of otherwise reliable scientific journals? Absolutely. But without other means of ensuring checks and balances, the gatekeepers can lock the gates without even realizing what they are doing. Next Next post: Author lifts from one paper in two different articles. Why does one journal retract, while the other corrects?